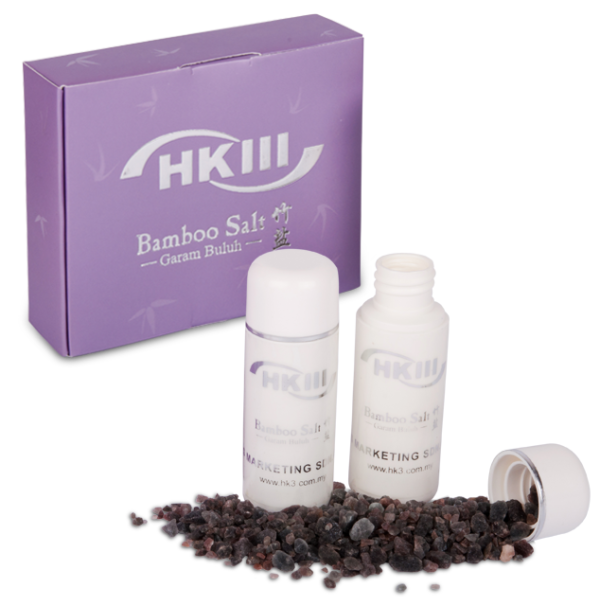 HKIII Bamboo Salt is originally from Korean folk remedies with thousand years’ history. The natural sea-salt from the West Coast of South Korea is chosen and filled into 3 years growth’s bamboo trunks. After sealing the bamboos’ opening with red clay taken from the deep mountain, it is baked for several times (above 8 hours per time) by using pine resin as the burning material at the temperature of 900°c-1500°c in order to eliminate the heavy metals and toxins in the salt. 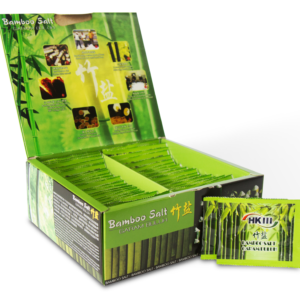 Bamboo Salt provides alkaline organic mineral salt. It supplies 70-80 essential minerals and trace elements. 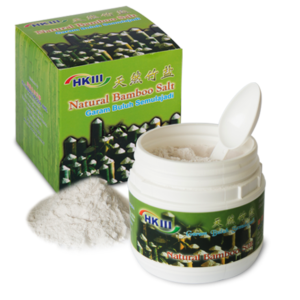 It is a strong anti-oxidant and able to restore body cells effectively. Long term consumption of Bamboo Salt can balance the pH value of body fluids and is very beneficial to our acidic bodies and thus help to improve immune system and health. To place 5 granules of 9 Burned Bamboo Salt under the tongue and wait until it dissolves completely. If the taste is too salty for you, you can place 1-2 granules per time and consume the balance anytime in a day. Remarks: If you have hypertension, asthma, heart problems, or ever suffered from severe injury; at the beginning, it is recommended to have 5 granules (medium size) once a day. You can only increase consumption after 7 days. Life is SOD? What role does it play to a human body? Why is bamboo salt said the best food to change the constitution? What is the internal environment of a body? What is the role of it? Need the patients go to hospital after taking bamboo salt? No.2, Jalan Emas Merah, Taman Emas Merah, 81500 Pekan Nanas, Johor, Malaysia.